A performance by the UK National Theatre of the multi-award-winning drama The Madness of George III will be screened at St James Cavalier Cinema, Spazju Kreattiv, Valletta, tomorrow, Sunday, January 13 at 6pm. 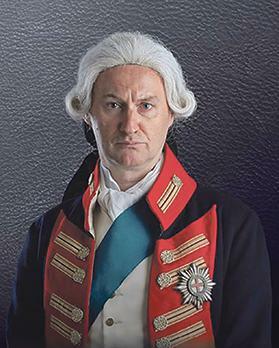 Mark Gatiss stars in the title role in The Madness of George III. The play is set in 1786 when King George III was considered the most powerful man in the world. But his behaviour is becoming increasingly erratic as he succumbs to fits of lunacy. The cast of this production includes Olivier Award-winners Mark Gatiss in the title role, and Adrian Scarborough. The National Theatre’s performance of The Madness of George III will be screened at St James Cavalier Cinema, Spazju Kreattiv, Valletta, tomorrow, Sunday, January 13 at 6pm. For tickets, visit www.kreattivita.org.